"Please cherish what you really want to do"
In recent years we've seen a number of young faces move to the forefront of Nintendo development, and we've also seen key women step up with increasing visibility in the company. One of the most recognisable is Aya Kyogoku for her leadership in the Animal Crossing franchise, and in a video from Nintendo she's joined by Risa Tabata, who's working on Chibi-Robo! : Zip Lash for 3DS. Both of these developers talk about how they came to work in the games industry, and also discuss the increasing numbers of women working at Nintendo, while sharing a positive message for others that aspire to move into development. It's well worth a watch, so check it out below. I heard somewhere that the dev team for New Leaf was almost half female. And that's awesome. @97alexk Haha, oh wow, I see it. This was a neat video. I'm not interested in either of the new Animal Crossing games, but it's cool to take a look at what things are like from another developer's perspective. They're definitely right on the "don't be hesitant" part, although from personal views, it's a bit worrying. Imagine you're pretty confident about entering that line of work, but you then worry about everything you aren't aware of, like "What if ___ pops up and I can't debug it?" or "This isn't working and I'm not sure what the problem is!" kinda stuff. I'm no programmer or animator yet, so I have no idea how difficult or easy those things can be, but I'm pushing forward regardless. @Mikes Same. The home designer and festival looks like a cash grab. 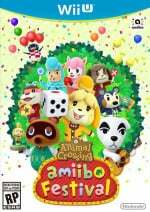 I really hope actual animal crossing game is in the production. @Hy8ogen They aren't cash grabs because they don't have any microtransactions. You need the cards to play them which is fair seeing that the game itself is built around them. I agree that women can be just as creative as men. Cash grab. They should just incorporate these ideas into a new Animal Crossing game for the Wii U. Instead they're selling them as whole games. I always love hearing developers speak about their games and generally getting to know the people behind my favourite franchises. @Artwark The issue isn't whether women are or aren't as creative as men. It's about equal opportunity for them to work in the games industry if they so choose and feeling comfortable with their working environment. And I can't even believe how ignorant this sounds: "The only issue is that their creative minds might alter the game in my opinion." Whether a game has good or bad ideas implemented within it has nothing to do with the gender of the developers; if a bad idea ruins a game it's because it was a bad idea or poorly executed, not because the person who thought it up was a woman or man. Great video, I love seeing the lesser known developers being featured, especially women. @BLPs I'm sorry, I wish I could give you some sort of advice or something, but I know nothing about making games. The best I can say is to take things one step at a time, and maybe try to find some sort of way to alleviate the work load. @BLPs Maybe you should find a way to relax; maybe take a day off and have some fun if you can. Sometimes work can be a bit too much, and usually the best thing to do if possible is take your mind off of it a bit and relax. It usually helps alleviate the pressure. That was a really nice interview. @Hy8ogen home designer seems interesting. Don't think it's a cash grab, just a different take on a game. The board game I'm on the fence over. I'll be getting the cards or Amiibi anyway; as they are big in my house, so why not play the game. @BLPs sorry to hear you're depressed. Your drink related comments always make me smile. Hope you feel better soon, and that your current project turns out as you hope. @Artwark That's not how things work. It isn't as simple as "child friendly" games being developed by women. And it certainly isn't obvious that a game designer is a woman just because the main character is female. @Tops You know what? I've given a bit of a thought about it and you're right. It doesn't matter. my bad. I love these videos, and I hope Nintendo keeps this up because it's nice to know the people who make their games. @Artwark Well, I didn't expect to convince you but I'm glad you were open-minded about it and for that I commend you. Interesting, my girlfriend back in high school bought a GameCube only to play animal crossing. She was by no means a 'gamer' but fell hard for animal crossing when I rented it just to see what it was all about.